In any organisation, it is vital to maintain the demand and supply equilibrium. This objective drives the planning community to work on producing the right product mix and keeping optimal inventory levels whilst maintaining customer service levels - all of course within financial boundaries! Demand Planners are expected to forecast more Product/Location combinations, but it would be unrealistic to expect equal focus and importance to be placed on every item. We therefore need a tool which helps focus their attention and prioritise their work load to add real value to the forecast. Standard Supply Chain practice centres around ABC-XYZ analysis, the ABC part of which is based on the Pareto principle, i.e. a limited number of tasks produce a significant overall effect (explained further later). 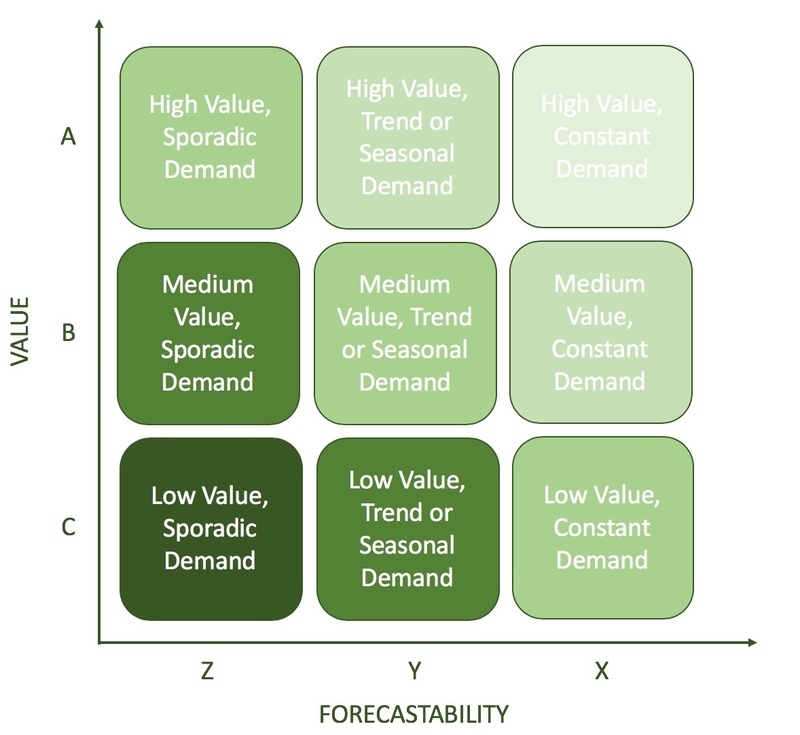 The ABC dimension is usually based on value (margin or revenue) or volume of the sales, whereas the XYZ dimension looks at the forecastability of the demand, i.e. how hard is it to predict future sales from the variability previous sales? The use of segmentation allows for different forecasting procedures to be applied to different segments of ABC-XYZ, moving away from the ‘one size fits all’ mentality to forecasting. This can drive better forecast accuracy once the optimal forecast profiles have been assigned based on the segmentation. In this blog I am going to explain how ABC-XYZ functionality in the Demand Planning (DP) module of SAP's Advanced Planning and Optimisation (APO) application would help leverage this.